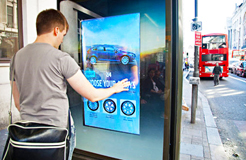 Directly engage your customers, audience and employers through interactive technologies are the best ways to communicate. 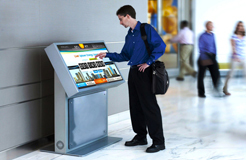 Whether that is an interactive virtual concierge, customer loyalty kiosk, or directional way finding applications; interactive touch-points provide invaluable channels to capturing customer data and responses to marketing and services campaign. 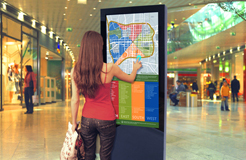 With continues advancement of technologies, interactive does not stay in a confined space of touch screens TV; it could be on a display windows, chiller fridge door, a touch table or even a 4-inch mobile device.